MAKE YOUR NEXT VOLUNTEER TRIP COUNT BY JOINING ONE OF OUR PROGRAMS AND BECOME PART OF A WORTHWHILE CAUSE IN MYANMAR TODAY! 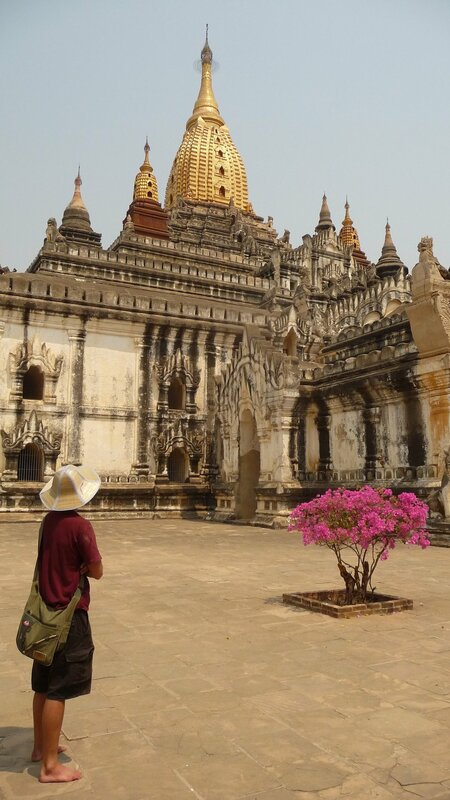 Myanmar is one of Asia's greatest civilizations and one of the most diverse countries in our world. Its borders stretch from the sparkling islands of the Andaman Sea in the south, right up into the Eastern Himalayan mountain range in the north. It is a country that remains one of the most mysterious and undiscovered destinations on our planet. For those who venture to this far away land, they will quickly be rewarded with breathtaking scenery, beauty, charm and incredible landscapes. Myanmar offers all the traditional delights of Asia in one fascinating country. Spectacular monuments and ancient cities add to a vibrant culture that is still home to 135 different ethnic groups here. Only until recently, has this country began to reach out and emerge themselves into the modern world. Wherever you go in Myanmar, whether it be cruising down the mighty Ayeyarwaddy River in style, drifting over the ancient city of Bagan by hot air balloon, or searching for that elusive tiger on the back of an elephant, there is always a feeling of adventure. Other activities can include Mountain trekking, rafting in the far north or world class diving in the Mergui Archipelago. Myanmar also boasts one of the lowest tourist crime records in the world, so visitors can rest assured their holiday will be safe from start to finish. The country is in a transition from military rule to representative democracy. It is a complicated process and a difficult political situation. The people of this country have been living for several decades under long internal conflicts and dictatorship rule. Poverty levels are estimated at 26 % of the population. Poverty is twice as high in rural areas where 70 % of the population lives. In the remote border areas; mainly populated by Myanmar's minority ethnic groups, and areas emerging from conflict are particularly poor. As a volunteer, you can provide one of the greatest gifts to the people in this country, which is Education. It is believed that Education alone cannot eliminate poverty but is one of the greatest contributors to it. As a volunteer, you will be given an opportunity to make a difference to the lives of others and in doing so, the people you will work with will also make a difference in yours. The programs we offer are designed to provide an ethical volunteering experience whereby volunteers will not only share their skills but will also learn about the local communities getting to know the people and their culture. We are actively looking for enthusiastic and empathetic volunteers who want to experience community life while getting involved to make a difference with local projects, which are designed to help the most vulnerable children in Myanmar. This program is designed and built for people who are interested in helping to support local life in this part of Myanmar. First of all, you should come because of the people – that’s what community based tourism is all about. Wander down the hill, into town and you will encounter smiling faces everywhere: Children waving to you from the back of horse carts; old, toothless men sitting in front of obscure shops; laborers with teeth red from chewing betel nut; teenagers zipping by on scooters, shouting “hello”; women in colorful dresses, their faces white with Tanakar, the traditional make-up, balancing rice bags on their heads. Although Yenangyaung is a very poor town in this land of daily toil, everyone is smiling at you, because you will possibly be the only stranger here. Sit down on the front steps of a shop and watch everyday life. There’s always something happening. If you volunteer on this program, you will be encouraged to teach English, play with kids, and the most important thing is to have fun while enjoying a unique sharing and caring experience with so many hopeful children who you may come in contact on a day-to-day basis. 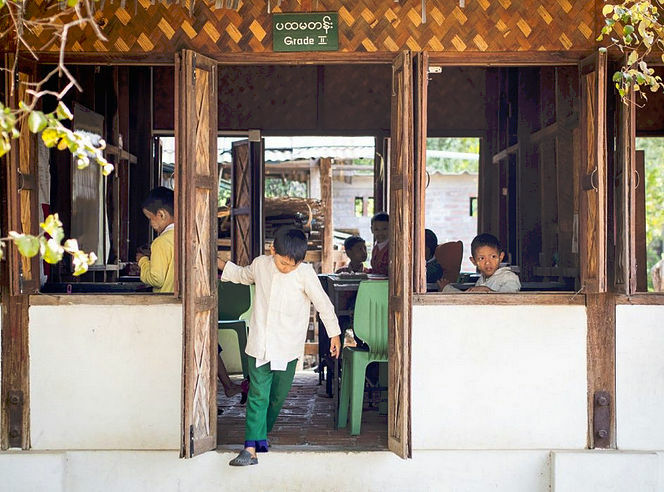 With help from foreign friends, the owner and regular donors have been subsidizing poor families in the area, offering education and sustainable life for many underprivileged children, along with providing food to more than 60 elderly locals. Parent less children thrown off their land are slowly being brought back into society, going to school, finding apprenticeships, becoming properly nourished and above all, finding the dignity and happiness which all children should enjoy. As a volunteer on this program, you will be required to assist and provide the following: care and support to the school children, teaching English, playing games with the children, future project development, and/or assist with ongoing community or other projects. This program is only available during the school season which begins june 1ST and runs until the end of FEBRUARY the following year. this particular program is not OFFERED DURING THE PERIOD OF march 1st to may 31st AS THE SCHOOL IS CLOSED FOR THE SUMMER holidays. The program fees vary depending on your budget and accommodation preference (single or double/shared room). Single accommodation (bed linen, towels, laundry). breakfast, lunch and dinner (water, breakfast beverage, myanmar green tea). Program Fee – airport pick-up (only from Yangon International Airport), orientation, program supervision, accommodation (private or dormitory style) and meals during volunteer program period, in-country 24/7 volunteer support and in country administration costs.